If you are exiting your 20s, you may be gallantly resisting the urge to "adult" and actually pay attention to your finances. But it's time to get serious, people. You don't need to obsess over every detail of your money just because you are entering your fourth decade of life, but there are some key things you should have a handle on if you want to achieve financial freedom and retire on time. 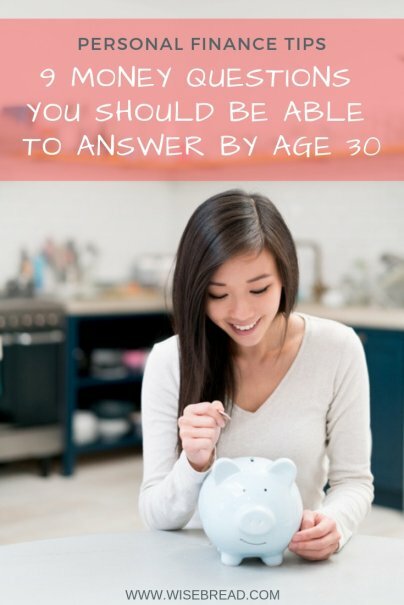 Let's examine these questions you should be able to answer by the time you turn 30. 1. What is your net worth? Your net worth is the total sum of your assets minus your debts. By age 30, you should be focused on building that net worth to a healthy sum. This means boosting your income, investing well, and keeping debt to a low level. 2. What are you invested in? By age 30, you should be investing as much money you can in stocks, with the intention of watching that money grow for the next three decades or more until you retire. Starting at age 30 will give you plenty of time to build a sizable nest egg, if you invest well. 3. How big is your emergency fund? 4. Are you on track to retire comfortably? 5. Are you properly insured? 6. Is your savings account the right one for you? 8. Are there errors on your credit report? 9. What is your debt-to-income ratio?